All America Bank offers a Mega Money Market personal checking account. This account earns 2.5% APY on balances of up to $50,000. Let’s take a quick look at it. When using their ACH (both in & out) you’re limited to a maximum of $5,000 per day. If you use another banks ACH to transfer in (or do an ACH pull out) there is no limit. Update 10/19/18: Rate has been increased to 2.25%. One thing I like about All America Bank is that they frequently have one of the highest rates available and raise rates for existing customers automatically – unlike some other unethical financial institutions. Rate on rewards checking has also been increased to 2.75% APY. This looks to be the same account that is offered by Red Neck Bank, I’m not sure if you can have an account with both. This is the best basic savings account interest rate out there currently. If you have any experiences with this bank then please let us know in the comments below. Thanks to reader John for letting us know. Wow… that link to redneck bank. I am speechless but entertained. Yup, had the same reaction. I guess this is their more serious version of the bank. Wait until you get their welcome gift: it’s a matchbox with toothpicks inside so you can pick your teeth like rednecks do. You can’t make this stuff up. But this bank is for real. And I’ve been pickin’ and grinnin’ with their higher interest rates for over a year and haven’t had any issues with AA/RED at all. This one actually seems to make sense for my particular needs. Interested to see data on credit card funding and other people’s experiences. The daily max for transfers is $5,000. This is using their ACH system, either in or out. You can transfer more into or out of All America if you use a different bank’s ACH system. You can transfer more than $5000 per day by calling in and talking to a representative when you want to do it. Excellent customer service. Ha, Ha, now that website is good for a laugh. No credit card funding. Initial funding is either check or ACH pull, min. $50, max. $1000. Looks like it will pull Chex System as their processing system is similar to Tech CU. But I didn’t continue to test that as long as I found out no credit card funding. I had the redneck back (just a different face to the same horse) for several years now. They’ve been consistently at the top with their offered APY. One convenient feature that I’ve used a few times is that this savings account can be used to pay bills. The account is actually a money market checking account, not a savings account. You can order paper checks as well. They now require 10 debit transaction to have 1.25%, otherwise only .25% is granted. I’ve bought 10 amazon gift cards, with both the pin less debit check box on and off. Rate still at 0.25. Anybody knows how to make the 10 transactions ? Pay your internet or other bills in chunks rather than all at once. Combine this with the Redneck bank and that’s half my phone bill in interest 🙂 I already have a 5% Insight card so this is the next down on the list for me. CSR told me customer initiated ACH transfer limit is $1000 for first 30 days, then I have to call in to get it raised to $5000. Strange thing though, when I called in to have a second and third account transfer limit raised after 30 days, the CSR said they were already at the $5000 limit. You can have one account at AAB, one at RB, and be joint on one other account at each bank with your spouse (or ?) as primary. So between you and your spouse, you can have four accounts total between you, either as individually owned or joint, for a potential $140,000 in savings @1.25%. Another strange thing, when adding the second and third account, even though we set them up individually with their own user ID and password, each time I log in to my initial account, I get access to all three accounts, and one of them is an individual account, not joint! Not too good if you don’t want your spouse getting into that private account. I would complain, except I didn’t do the individual account to keep my spouse out (it was for other reasons) and, well, it’s just so darn convenient! BTW, when calling a CSR, I have yet to be put on hold (after the initial menu) more than a minute, and usually don’t get put on hold at all. Happy to see they have raised the MM limit to $50,000. 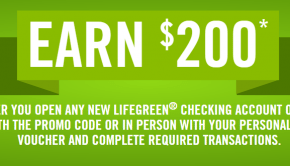 Now you and a partner can have a potential of $200,000 in savings. I recently deposited an amount in both accounts and couldn’t be more pleased with their customer service. Friendly, helpful, and no problems at all. A happy customer these first couple of months! Will, perhaps you could also change the title to 1.5%? any referral bonus for allamerica or redneck? They also have 2% Rewards Checking with 10 debit card transactions and receiving e-statement. Are they increasing the 10k maximum or does it stay the same? Yup, will do a separate post on this in the future. Thank you! Huge for me, as I was just getting ready to substantially reduce balances. Instead, I’ll be looking for additional funds to add in 2 weeks. Note to all newcomers at AA/RED: you won’t see the higher rate in your account information online. You will instead see 0.25% as the interest rate with the accrued interest shown based on that rate. If you meet the qualifications, the statement will additionally show your bonus interest listed separately. Mikey, just to clarify, you are referring to the higher rate checking account currently paying 2% with a $10K maximum balance. The 1.75% savings rate effective soon is for their money market savings which permits a much larger balance (currently 35K and increasing to 50K) and has no monthly “requirements” with a limit of 6 withdrawals per statement cycle. Correct. Sorry for the confusion. The account paying 1.5% shows the correct accrued interest, actually shows interest at 1.48% daily.